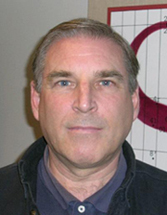 Lance Carnes founded Personal TeX, Inc., in 1985 and has been providing PCTeX ever since. Lance Carnes, interviewee: I was born in the San Francisco Bay Area and have lived my entire life here. After graduating from the University of California, Berkeley, I held several jobs in the computer industry, up until 1985 when I founded Personal TeX, Inc. I have three grown sons and currently live and work in San Francisco. LC: In 1980 I attended a TeX conference at Stanford University (the first of its kind) while looking for a documentation system for software products. The conference organizers, mostly Stanford graduate students, provided a portable TeX system, in Pascal, on magnetic tape. Using this tape I was able to get TeX running on a small computer system. At the second annual meeting in Cincinnati I joined the board of the TeX Users Group, and served as the TUGboat editor for small systems. DW: You mentioned 1980. What do you mean by “small computer system” in that era? One of those early hobbyist micro-computers, one of the early personal computers, a mini-computer? LC: An HP3000, which had a 16-bit word and 16-bit address space. IBM PCs, which were introduced a few years later, also had a 16-bit word but had a larger address space. DW: What do you see as your significant contributions to the TeX community? LC: While a lot of people in the desktop publishing industry arrived here because of an interest in publishing or journalism, I developed an interest in TeX because of computer science and Don Knuth. During the 1970s I followed the development of Structured Programming and Knuth's name came up a lot — a favorite article was his “Structured Programming with goto Statements”. In 1980 at the first TeX Users Group conference I discovered he had developed the TeX system using many of the concepts in The Art of Computer Programming, and I launched into implementing it as a way of learning more about computer science. In 1984 I moved the TeX implementation from the HP3000 to the IBM PC. In 1985 I founded Personal TeX, Inc., along with several partners and began marketing PCTeX, a TeX implementation for IBM PCs. The product was an immediate success and remained one of the best-selling TeX products for the next several years. To answer your question, developing PCTeX and founding Personal TeX, Inc., are probably my significant TeX contributions. DW: The first TeX system I used was PCTeX; it was recommended to me by a math guy from the Rockefeller Institute when I asked about a TeX system that would just work without me having to do lots of configuration. I also remember seeing your name and the small systems section when I was looking at early issues of TUGboat on the TUG web site. How long did you serve as small systems editor, and how did that activity advance the spread of TeX? LC: I served only two or three years as small systems editor. My future partners in Personal TeX, Inc., approached me to do an IBM PC version because of my visibility as small systems editor, so in a way that activity advanced the spread of TeX on PCs. There were numerous small system TeX versions developed and reported on in the small systems column. Most TeX users at the time were working on mainframe computers, and I always suspected they considered small computers which sat on a desktop as curious toys. There were several small systems, for example the Atari and the Amiga, which had speedy and well-designed TeX implementations — unfortunately many of these computer companies ceased making the machines after a few years. The relatively weak though plentiful IBM PC was probably the first widely-used small system. DW: What do you see as the major eras or transitions in the evolution of TeX and its friends? LC: Era 1 — The beginning. The development of TeX and LaTeX at Stanford from 1977 through the early 1980s. Major players included Don Knuth, Luis Trabb Pardo, David Fuchs, and Leslie Lamport. Era 2 — TeX as a product, mid 1980s to present. Several vendors began marketing various TeX versions on different computer architectures, including Dave Kellerman and Barry Smith (Kellerman & Smith — DEC VAX), Barry Smith (Blue Sky Research — Macintosh), Dave Rodgers (ArborText — Unix and other workstations), Lance Carnes (Personal TeX, Inc. — IBM PC), and Dave Fuchs (Addison-Wesley — IBM PC). Era 3 — TeX as a full-fledged open source system, mid-1990s to present. TeX has always been a public domain system, though its distribution was often configured by the commercial vendor or system supporter (usually a university, e.g. Berkeley Unix). Beginning in the early 1990s attempts were made to unify TeX and its thousands of files, that came to fruition by the late 1990s with the TeX Live project. Key players in this project were Karl Berry, Sebastian Rahtz, Thomas Esser, and others. DW: What do you see as the strengths and weaknesses of TeX's version of an open source community? LC: The major strength is the large number of dedicated people who volunteer their time to further the development of the TeX technology, through the TeX Live project, the TeX Users Group, and other national user groups. The weakness is the lack of industrial or academic support for the education and use of TeX; everyone uses it, but few put energy into promoting it or making it easier to use. DW: Do you have an image of how TeX and the TeX world will or should evolve going forward? LC: TeX has a solid technical base — the systems work, the fonts work, the macros work. For TeX to survive, though, users and potential users need education in the use of TeX, and there needs to be an industry which supports its continuance. DW: What do you envision when you speak of “an industry which supports the continuance of TeX”? LC: In the early days the American Mathematical Society and Addison-Wesley (now Pearson) were strong supporters. They provided expertise for TeX development and published books on the use of TeX, as well as using TeX in their own publishing activities. Both the AMS and AW still use TeX, as do several other publishers, but no one supports it in the same way Red Hat supports Linux, for example. DW: Please tell me a little more bit about your other work or activities outside the TeX world. LC: I enjoy old movies, hiking, cycling, and spending time with my grown sons. DW: I certainly feel like I have been talking with a TeX pioneer. Thank you for taking the time for this interview and for your contributions to the TeX world. LC: Thanks for interviewing me.